E-Commerce is the future of shopping. Thus it would be apt to quote "The future is here, it’s just not widely distributed". Internet Economy will continue to grow robustly as India is believed to be the 3rd largest country to Use Internet for Online Payments with a remarkable rise of over 100% each year for Online Shopping. Online Payment Gateway are gaining popularity in India as new E-Commerce Companies are starting and even the old brick and mortar establishments are opening up Online Stores. Online Payments are becoming important for all the businesses. Payment Gateway is an E-Commerce Service that authorizes Payments made through Credit Cards or Debit Cards Online for E-Businesses and Online Retailers. As the Online Shopping mania has been escalating at very high frequency, Payment Gateway Integration, an authorizing payment option for E-Businesses Portals has become a major characteristic for every E-Commerce Website. Payment Gateway Integration or Online Payment Processing is a way of receiving payments from your customers on your website. If you are an existing E-Commerce Store Owner or planning to launch an E-Commerce Enabled Store then you need a reliable Payment Gateway Service Provider to enable Payment Gateway Integration on your store so that at the end of your checkout process a user can make Payments to you Online using his Credit Card or Internet Banking. Secure Online Payment is required for the buyers and the sellers dealing in online merchandising of products and services encrypting the information that ensures personalized transaction process. While doing Shopping Online, each customer's credit card details has to be safe so as to assure full security between the customer, vendor and the payment processor (i.e. Bank) for sophisticated Online Payment Transactions. In a termed way, we integrate Payment Gateway into the E-Commerce Website Applications which facilitate sales terminal located at various retail outlets. Our Web Developers have been quite well-known in developing such kind of Applications that feature 'Secure Online Payment' that codes sensitive information to pass safely between the two parties. Payment Gateway Integration is a master part of E-Commerce. 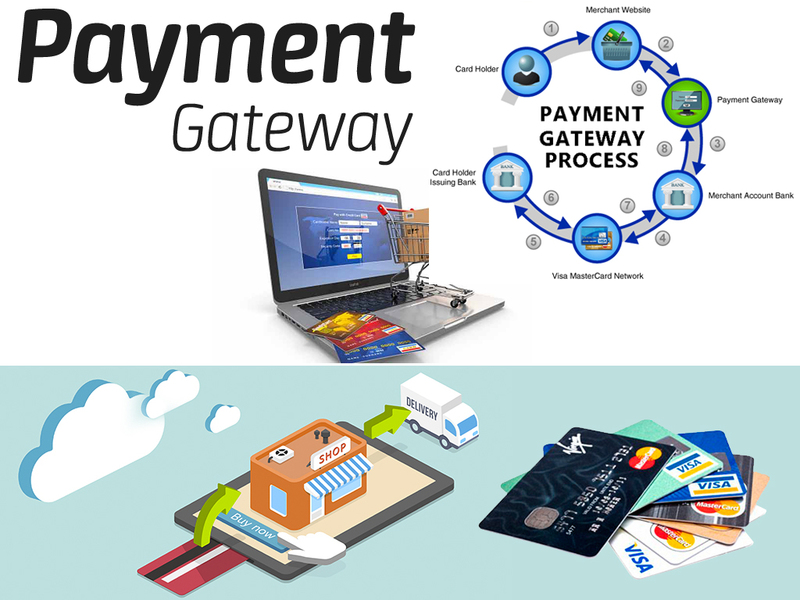 Payment Gateway is a service which is required in an E-Commerce Application Service Provider that authorizes credit card for Online Business, it make a connection between Payment Portal and acquiring bank. So for a Payment Gateway Integration need a merchant account with the ability of accepting online payments through a Payment Gateway. Why Use a Payment Gateway? A Payment Gateway is an E-Commerce Application Service Provider that can authorize payments for all E-Businesses. Payment Gateways protect Credit Card or Debit Cards details by encrypting the sensitive information so that the information cannot be intercepted and obtained by anyone. Mainly there are two types of Payment Gateway, namely Online and Offline. Here are some details about Online Payment Gateway as follows. The customer’s web browser encrypts the information to be sent between the browser and the Merchant’s Web Server. This is done via SSL. The Merchant then forwards the transaction details to their Payment Gateway. This is another SSL encrypted connection. The Payment Gateway forwards the transaction information to the payment processor used by the Merchants Acquiring Bank. The payment processor forwards the transaction info to the card association. Which payment options will suit my product, market and end users? How much it is going to cost for the initial setup of the Payment Gateway? What about the commissions per sale? What is a Payment Gateway? Will Payment Gateway integrate with my website and the Shopping Cart Solution I have selected? Are the Payment Gateway Integrations I have selected having any technical issues? We at K3 Web Creation one of the leading Payment Gateway Service provider in Mumbai, India, can help you seek answers to all the above questions and recommend you the best Payment Gateway Solution that can work for you. We can implement these Payment Gateway Services and Integrations in the technology of your choice ASP.net with C#, ASP.net with VB, Php or ASP. We at K3 Web Creation, offer Payment Gateway Service that authorizes payments for E-Businesses and Online Retailers that accepts all the cards supported by this application.